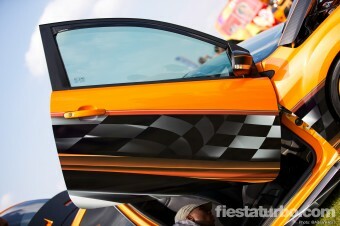 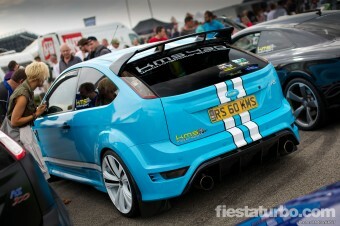 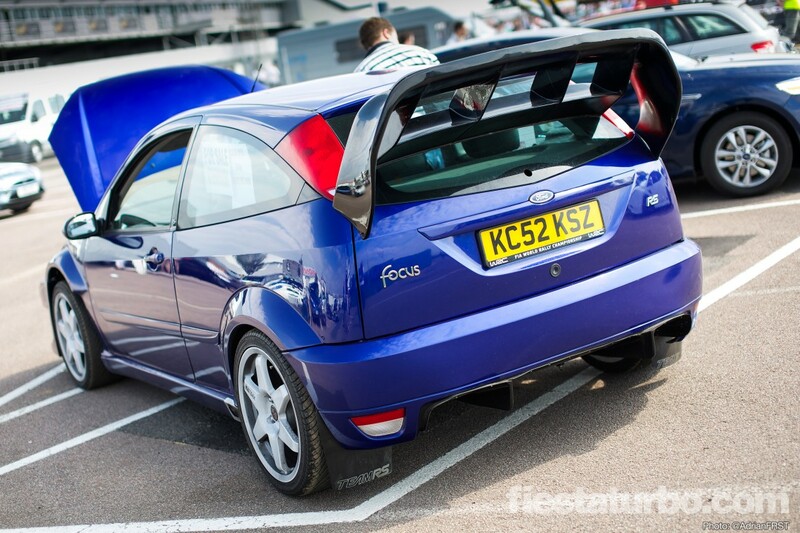 The Fiesta’s bigger brother - the Focus - has proven to be a sure fire hit with Ford fans. 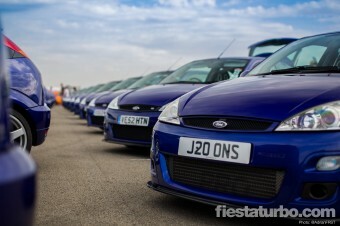 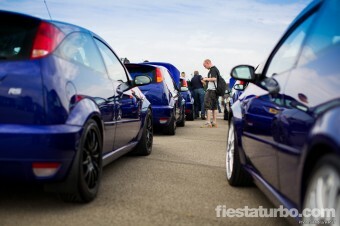 Judging from the count at Ford Fair I’d say they are almost as popular as the Fiesta. 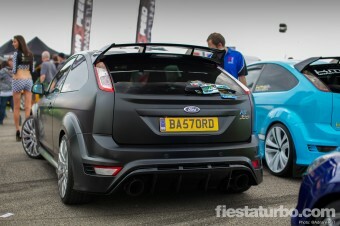 The Focus being Ford’s favourite son gets RS and turbocharged ST models, but the Fiesta gets to play WRC now which we can only hope leads to something more special than the recently announced Fiesta ST.
For a road car the Mk2 Focus RS is a pretty special looking beast, all gaping vents and aggressive angles. Driving one down the road is likely to elicit reactions of varying degrees but no-one can deny they have road presence by the bucketload. However, nothing dilutes this like quantity. 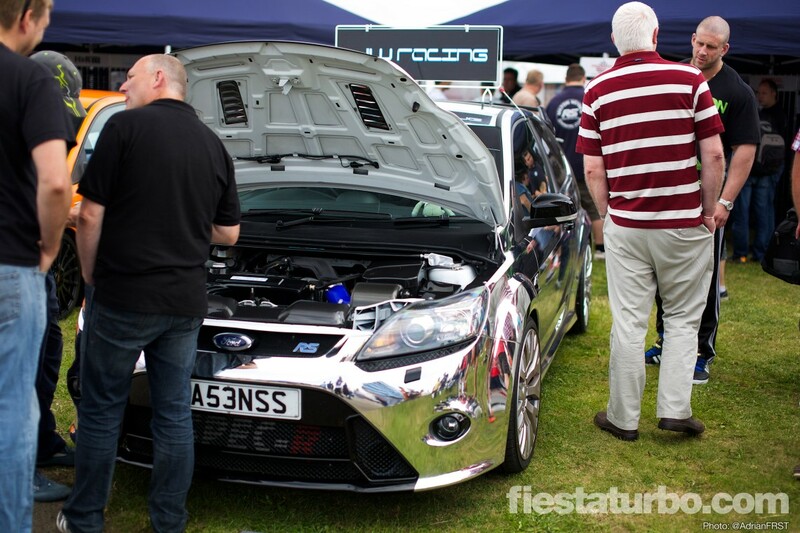 One FRS in isolation turns heads, but the sheer number present at Ford Fair along with the significantly raised bar of interestingness means most are passed over. 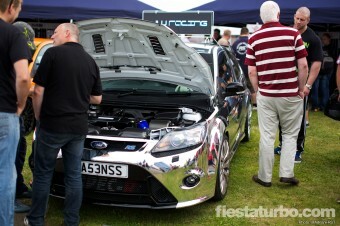 Fortunately all it takes is a noticeable tweak and the crowds start to flock. The two red Focus’ being prime examples. 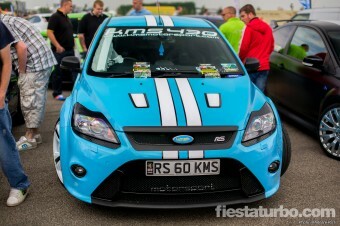 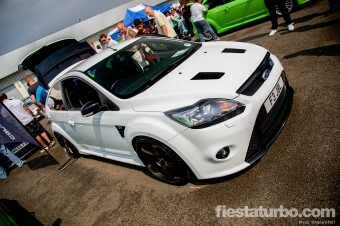 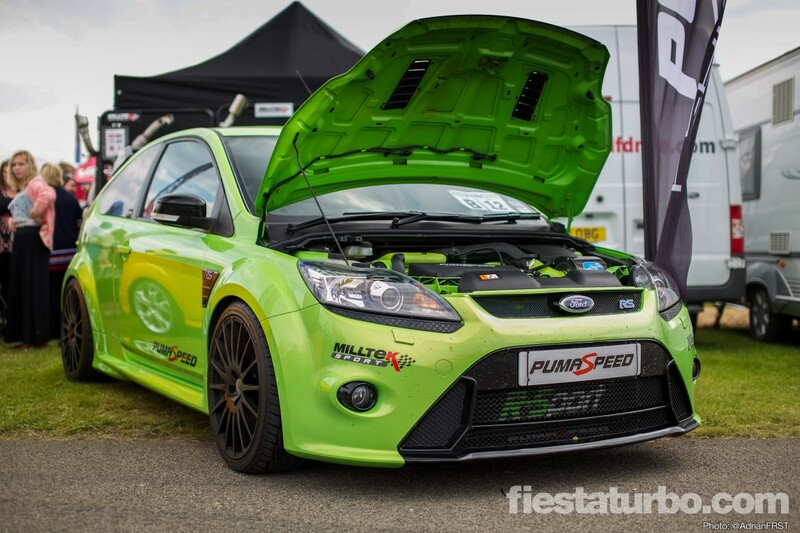 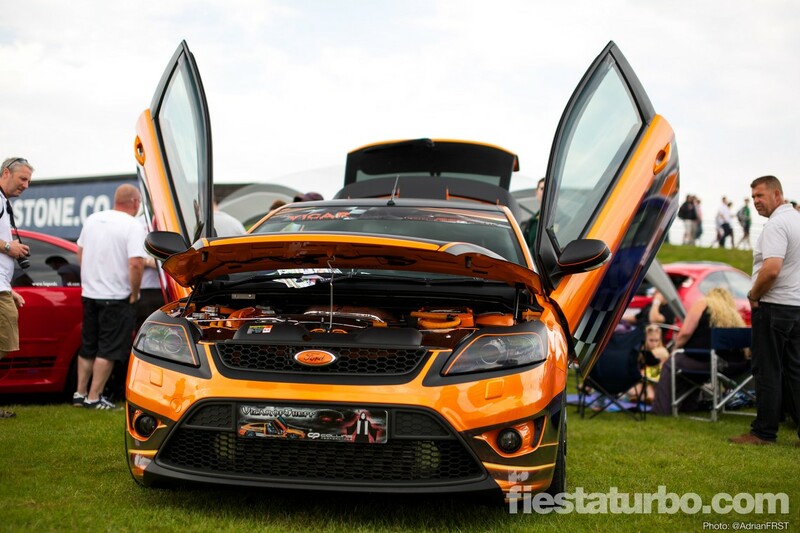 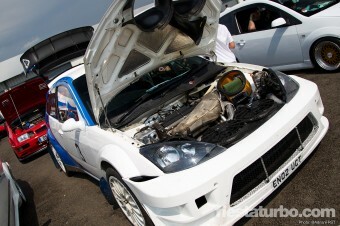 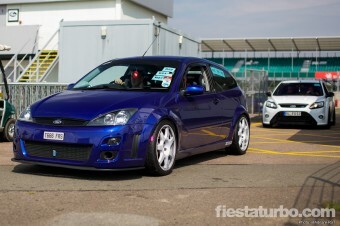 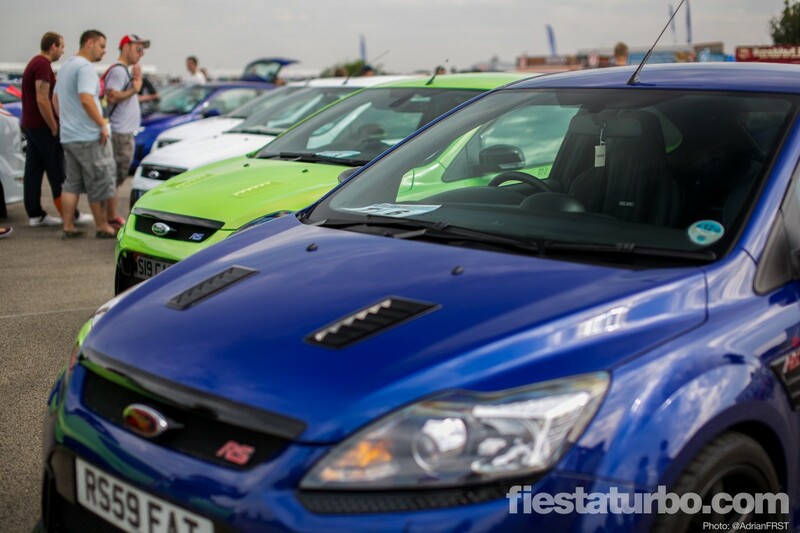 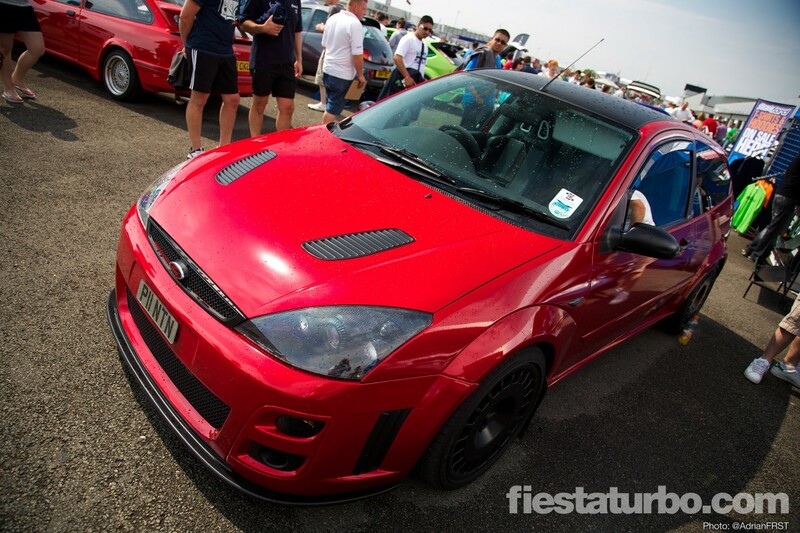 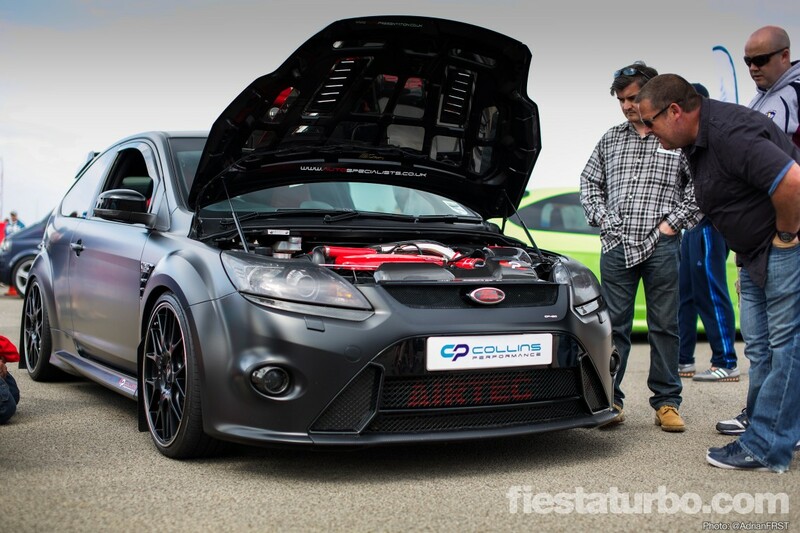 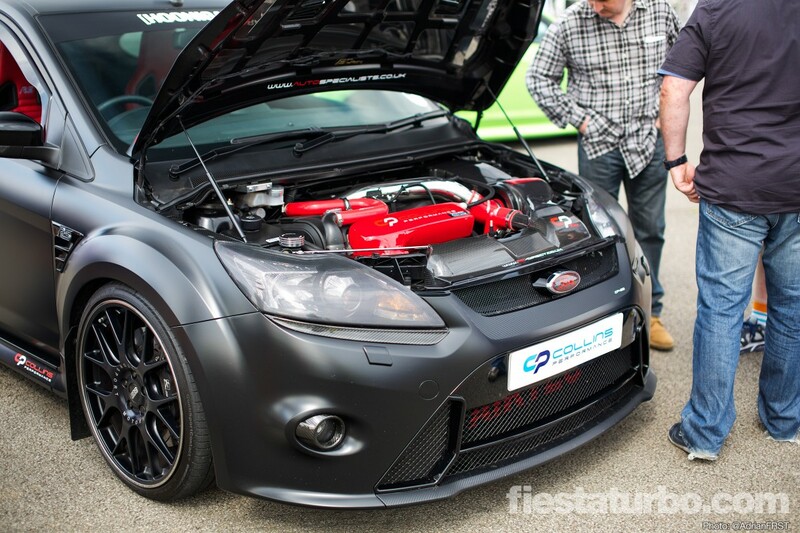 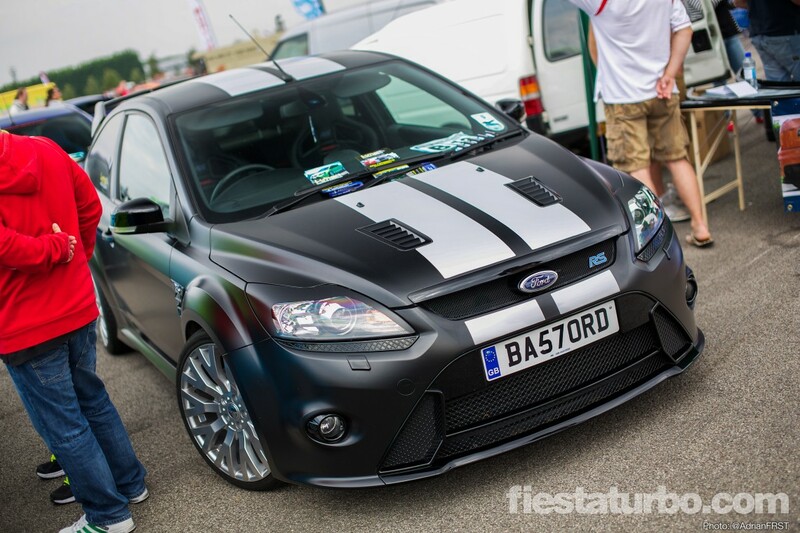 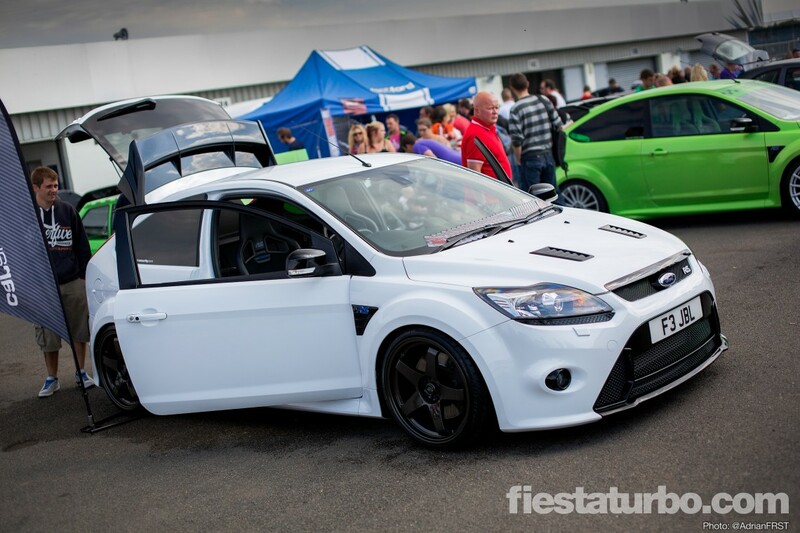 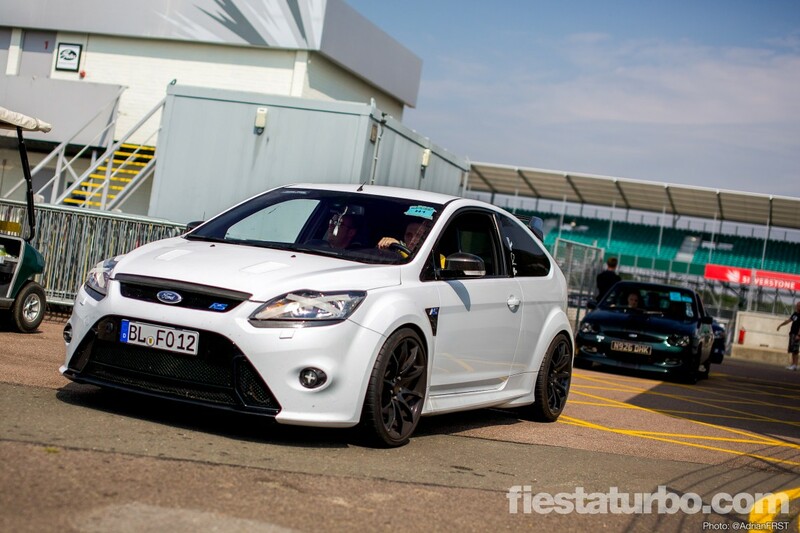 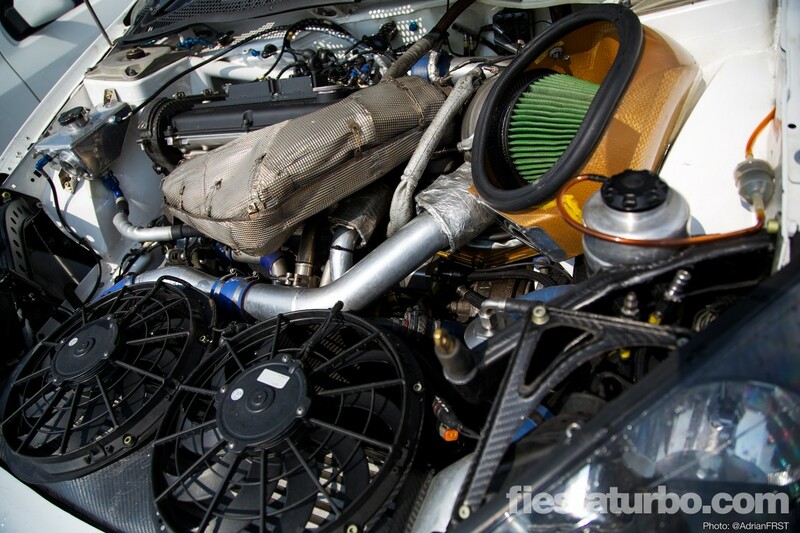 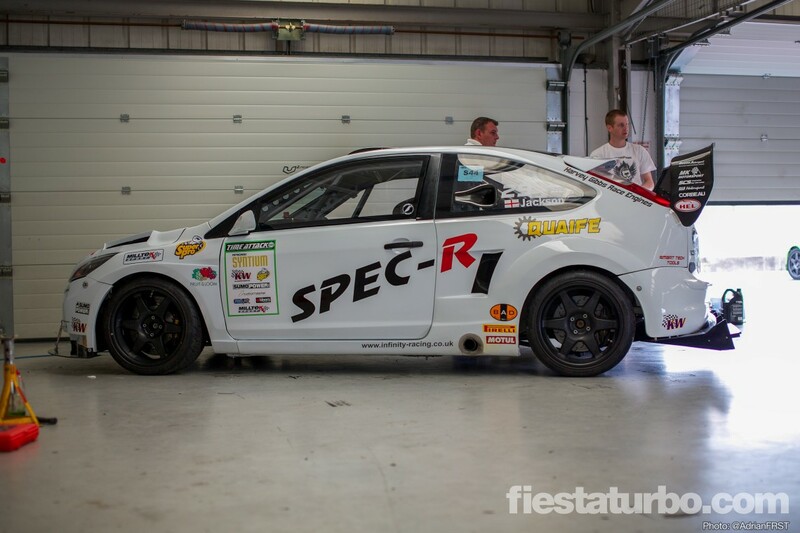 The standout Focus of the show had to be the monster Infinity Racing Time Attack Focus Cosworth. 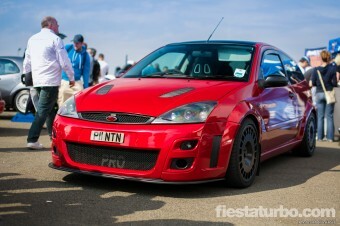 Only one pic for now, more to follow in a mini-feature later.